Gornja Trepca is located in the northern part of the Cacak-Kraljevo Ravine, on the slopes of the Mts. of Bukovik (850 m) and Vujn (857 m). 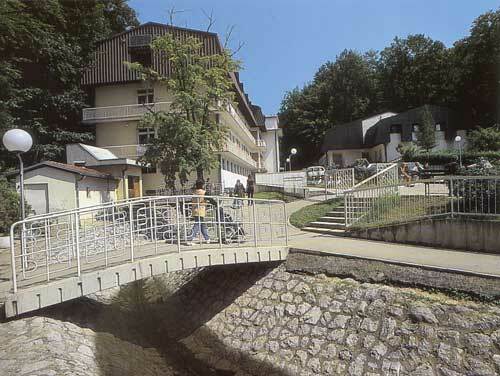 This natural health resort which is 18 km away from Cacak and 9 km from Gornji Milanovac (via Mt. Vujn), has been known as the Atomic Spa. The hot curative waters of Gornja Trepca had been known to local population in the ancient times, while it enjoyed the reputation of a Monastery Spa in Middle Ages. Still, its waters gained definite reputation when the first outdoor pool was built in 1890, and its fame spread in the 1930s although, at that time, accommodation was available only in private houses. Modern equipping of the Spa was instigated in 1955 when the “Popular Gornja Trepca Bath” was built. The mildly radioactive thermo-mineral waters (26° – 31° C) spring up from three welis of juvenle properties (permanent quantities, and unchanging chemical contents and temperature), have got the healing capacities that have been confirmed by thorough scientific research. that have positive effects in treating of some illnesses of the nerves (like cesium) and of rheumatic diseases (like lithium, rubidium). Owing to the fact that the waters are mildly alkaline and hydro-carbonated, they also aid in treating gastritis and duodenum ulcers. Gornja Trepca Spa has got the Dispensary opened in 1975. where diagnostics and therapies are conducted by the well developed medical services and specialized doctors; there is also as a well-equipped laboratory, which enables proper rendering of the services of physical treatments and rehabilitation. Gornja Trepca Spa has had a boom in recent years. The extremely rare properties of its waters and the pleasant climate (mildly-continental), fresh clean air and the altitude of 460 m – have all made this relatively “young” Spa, surrounded by thick forests and other amenities for healing, rest and recreation, known not only in the country but abroad as well. The sojourn in Gornja Trepca can be bettered by picnics to the nearby Vujan Monastery (6 km), and to Prislonica village – known by its traditional village architecture and country tourism and by the Get-Together of Flutists that has traditionally been held in July since 1987. 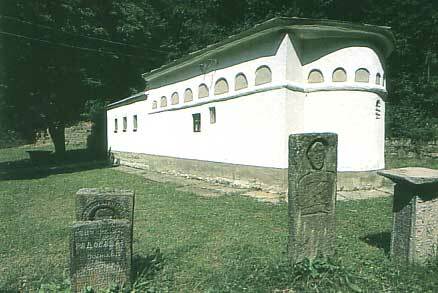 The sanatorium offers comfortable accommodation at the Dispensary, and in bungalows, Fontana Hotel, Zdravljak Boarding House and in private houses -the total of 2750 beds. Small restaurants serve traditional specialties of this region.